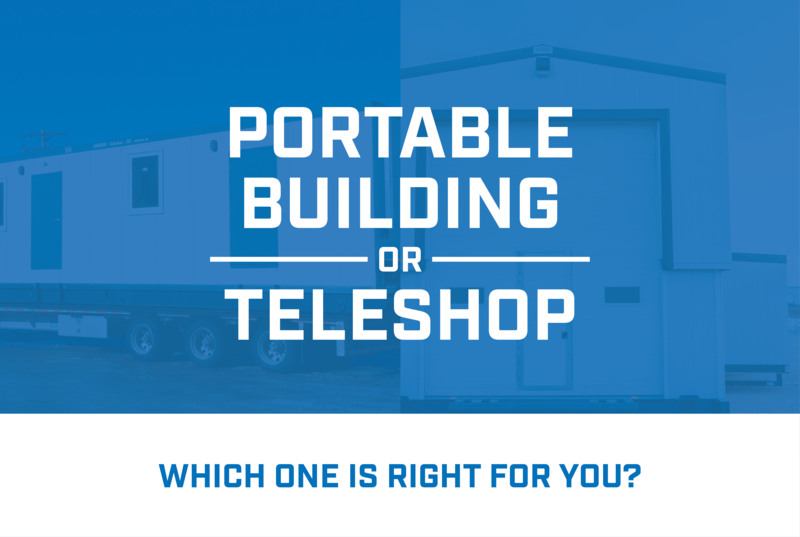 While there may be some similarities between the portable buildings and teleshops we design and manufacture, there are some key differences that should help you decide which building is better for your particular application. Both options are essentially designed to make your job a little easier. Both are built to withstand extreme conditions and temperatures while keeping you and your equipment comfortable in any season. The design of both building options require little to no site preparation, which means you just have to worry about getting them to your location and they are virtually ready to use. They can be set up almost anywhere and moved when and wherever you need them. They also can both be direct line or generator powered. We designed our Portable buildings to be extremely versatile. They can range from site offices, to accommodations to temporary insulated buildings. They can help you run projects efficiently in both populated and remote areas. They are the perfect temporary solution to an immediate need. Portable buildings are built with self-framing panels featuring pre-painted inner and outer steel sheets, which means you don’t need to add on additional wall or roof cladding, so they’re good to go. These buildings are also mold, fire and rodent resistant making them perfect for any location. These handy structures are engineered with a heavy-duty skid frame and structurally insulated steel panels. We made them to be easy to move wherever you need them to go. These structures were designed with remote locations in mind, that may not have access to everyday conveniences. Teleshops are beneficial to industries that work off the grid such as forestry, oil & gas and mining. They are perfect for large machinery or wash bays for larger vehicles like eighteen wheelers or equipment. The Teleshops can be used for both short term and long term solutions. For short term use, these buildings can be quickly set up to help you finish up any job or contract. For long term use these buildings are relocatable which means when the job is done, pack it up and move it to the next one. Simple and easy. To sum this up Teleshops are great for equipment and remote job sites that lack basic amenities and Portable Buildings are more suited as a temporary solutions for buildings workers would need. Either way, these buildings are durable, portable and efficient. We would be happy to chat with you about your needs and see which option might be better for you.